Follows Goethe's Italian Journey to discover how Art and Nature jointly influenced his work on metamorphosis. 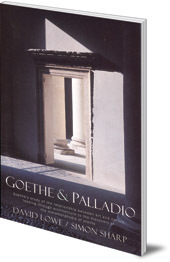 Goethe wrote his Italian Journey during his travels south to Italy in the late eighteenth century. David Lowe and Simon Sharp spent 10 months re-creating his journey day-by-day; this unusual and fascinating study into how the twin pillars of Art and Nature influenced Goethe, is the result. 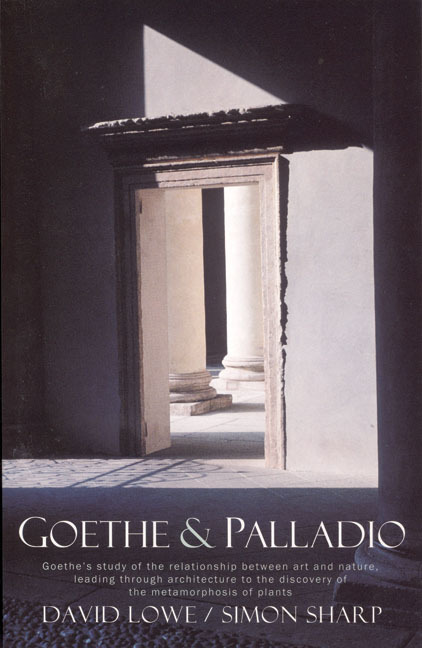 Goethe's writings oscillate between his experiences of Palladio's classical architecture, and experiencing nature. For the first time, David Lowe and Simon Sharp pull these two strands together and show how they are related: how the living geometries and harmonious proportions of buildings can reflect similar principles in nature. Specifically, they argue that Goethe's experiences in Italy helped form his understanding of metamorphosis, leading to his discovery of the 'archetypal plant'. David Lowe was born in Barnsley, Yorkshire. He studied Philosophy and Politics at Queens College, Oxford, and later did his M.A. in Art History at Oxford Brooks. His time is taken up increasingly by lecturing and study groups in the United States and United Kingdom. Simon Sharp is a teacher of art and design. He is currently director of the Leonardo Centre at Uppingham School in Rutland, England. He uses Goethe’s approach to observation extensively in his teaching and practical demonstrations.